Balance of balance! Enter the Apex returns with Garrett and Kyle discussing last week’s patch 1.1.1 changes. Caustic and Gibraltar have been upgraded with a fancy new damage reduction that sadly isn’t working. Sniping is in vogue as well after multiple changes to our long range weapons. While these changes are good and push the game towards a more balanced state, the community is left wondering what is the future of Apex Legends compared to the other juggernauts in the battle royal sphere. On this week’s Enter the Apex, a nice quality of life patch also brings sweet sweet justice. Garrett and Kyle return ready for some more Legends action. After a week of run-ins with the miscreants, a massive wave of hacker bans has been unleashed. But that's not all; last squad invites, performance updates and even a mysterious leaver penalty has been added to the game. Ideas, improves and your emails close out the episode. The Battle Pass was announced but in the middle of the show! Hold out for it, because Garrett and Kyle have lots of other news coming at you. Jump Pads have mysteriously appeared in game in an apparent test for the upcoming champion release. Respawn is also coming for the cheaters and they are targeting their entire gaming machine as the culprit. Finally we talk hop-ups and sniping. Garrett and Kyle return for a glorious serpentine run through this week's big Apex Legends news. The first big balance patch hits Apex making appropriately baby steps for the new game. Next, we tackle a big topic for those of you new to computer shooters, DPI. All this, followed up with an email from the community. After two weeks of fabulous guests it’s time to bring it back to its roots; roots being the first episode four weeks ago. Garrett and Kyle sit down for a wholesome chat about their experience with the game since release. At 50 million players, the game is riding a wave of requests and expectations. The powder keg is ready to blow. Which way will it blow in? All this and your emails on this episode of Enter the Apex. 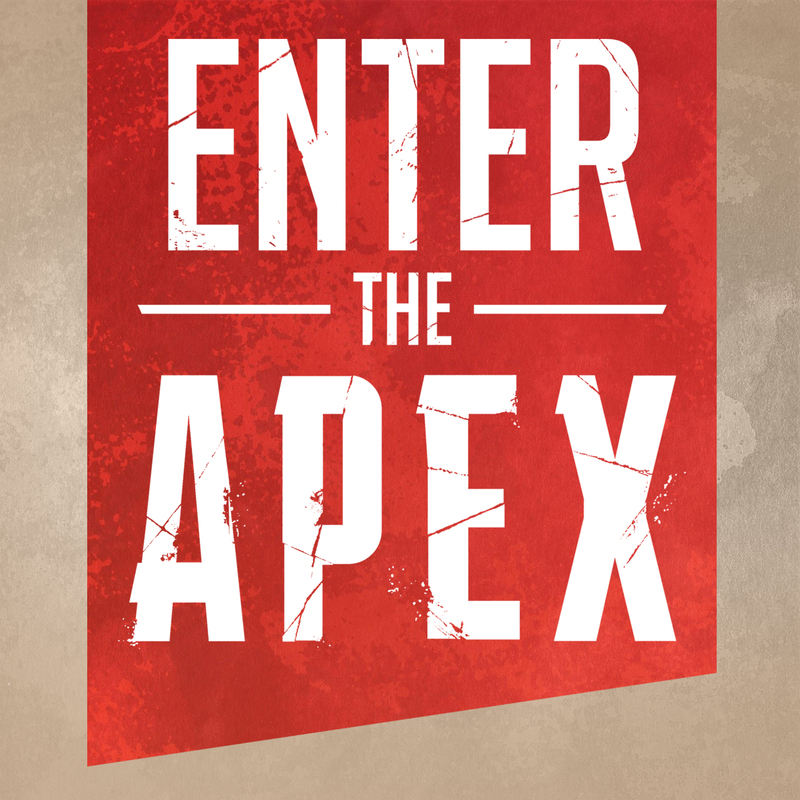 Enter the Apex is back and this week Dreadnaught is taking a break from casting the Twitch Rival Apex Legends Challenge to join in on the podcast fun. The trio talk infinite-climbing as Pathfinder, the new grenade bug, mowing players down with the animation cancel trick on the Peacekeeper, hotfixes, the new Havoc energy rifle, and much more. To be a part of the show email in to Amovetv@gmail.com or tweet @EnterApex. Today’s episode included questions about better aiming practices and hopes for a more robust training mode. Enter the Apex returns for its second episode and TrikSlyr is guesting! Garrett, Kyle, and Trik talk about Apex Legends hitting 25 millions, Survival Mode being data mined, the in-game Valentine’s event, and Season 1 coming next month. In this week’s strategy segment the trio talk about the multitude of tier lists popping up and how even the lowest ranking legends still have sweet synergies. To be a part of the show email in to Amovetv@gmail.com or tweet @EnterApex. Today’s episode included questions about the gun naming system and Apex Legends releasing so close to Anthem. Greetings and welcome everyone to a brand spankin’ new podcast! Enter the Apex will be a regular Apex Legends podcast covering news, strategy, and your questions. This first episode covers Kyle (a newcomer to the Battle Royale genre) and Garrett’s (a PUBG fan) first impressions of the game, the recent datamined info referencing duo ans solo queues, and beginner tips for managing items and inventory. To be a part of the show email in to Amovetv@gmail.com or tweet @EnterApex.